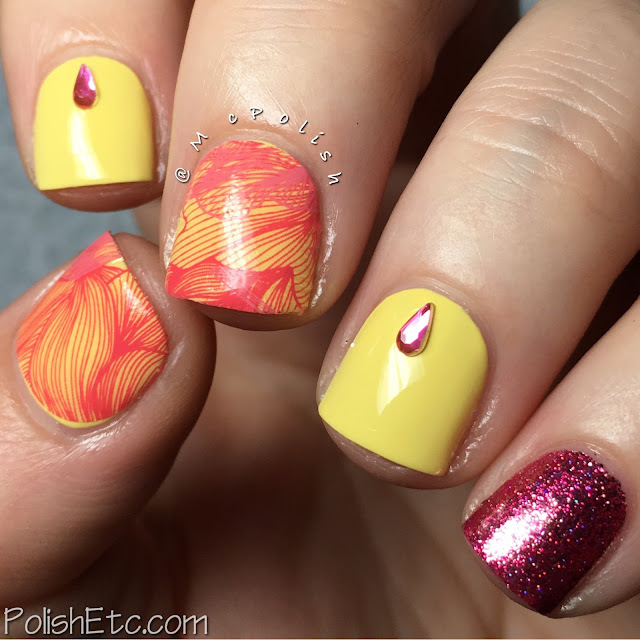 Yellow Nails for the #31DC2016Weekly - Polish Etc. Sorry, I am a little late with the challenge post this week. I was away from my computer over the weekend and didn't get this post together quick enough to schedule it to post on Saturday. Oopsie. But don't worry, I have a cute little skittlette mani to share with you for the prompt 03: Yellow Nails! I had attempted to do some cool magnetic blob nails for you but they turned out to be a utterly awesome #nailfail. So, I just went with a tried and true skittlette. I used a happy yellow creme for the base. It is two coats of Lime Crime "Crema de Limon" which I scored off of HauteLook. It had an awesome formula. 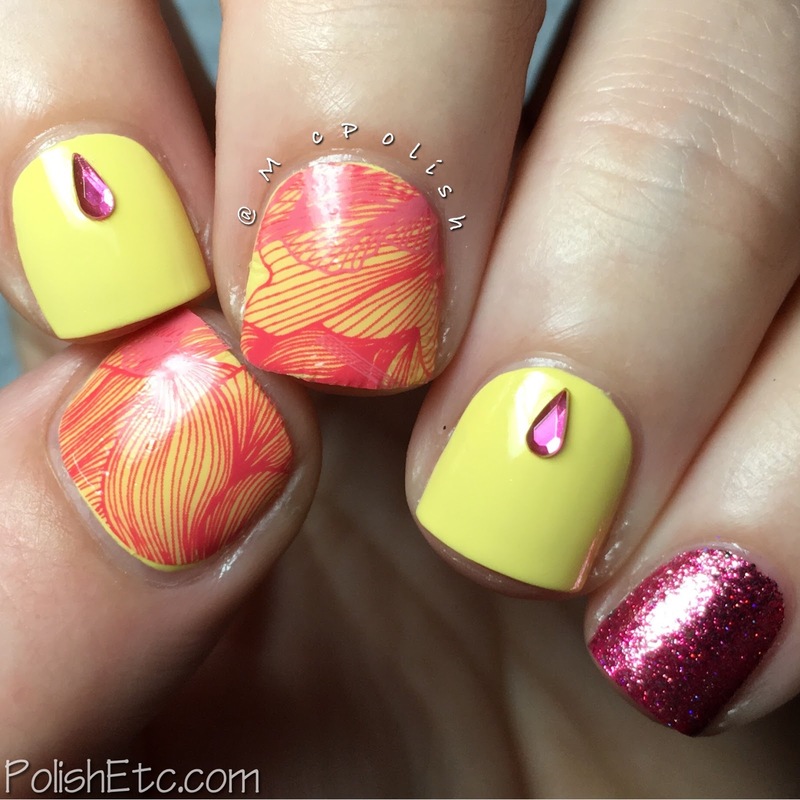 Then I used ThumbsUp Nail Wraps in "Rosa" over two of the yellow nails. These wraps are clear with a pink floral pattern so you can use them over any color nail polish you would like. The combo of the pink over the yellow gave them more of a coral coloring. I used to little pink rhinestones on the two other yellow nails and then added a little pinkie bling with KBShimmer "Pink Tourmaline" from the Birthstone Collection. 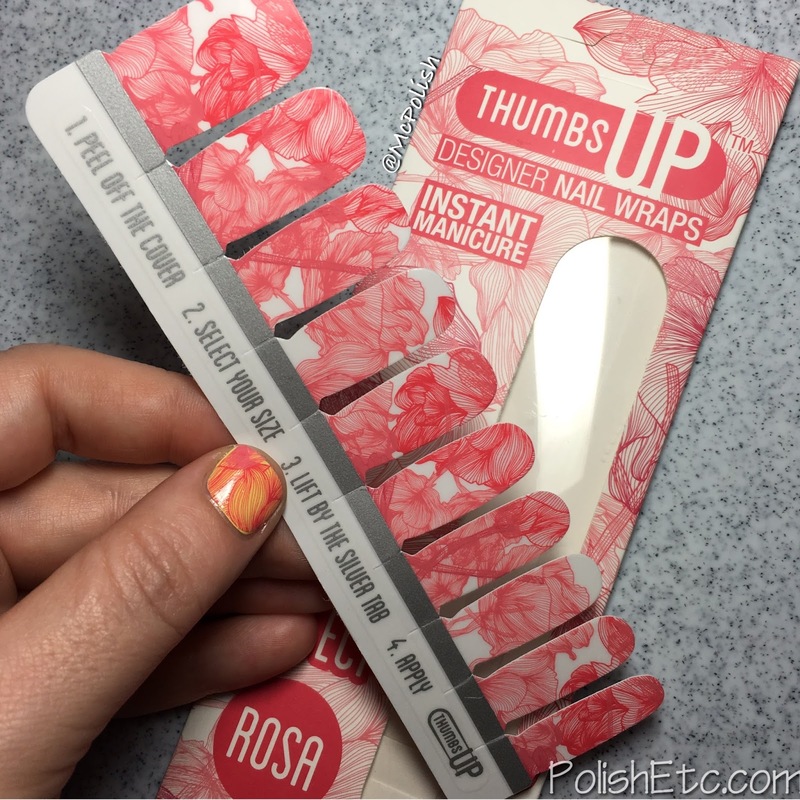 I have tried these nail wraps from ThumbsUp Nails numerous times and really like the quick and easy nail art looks I can create. I like the overlay ones the best I think because of their versatility. I still haven't been able to find the perfect top coat to use over them. All of the quick dry top coats will wrinkle these wraps. 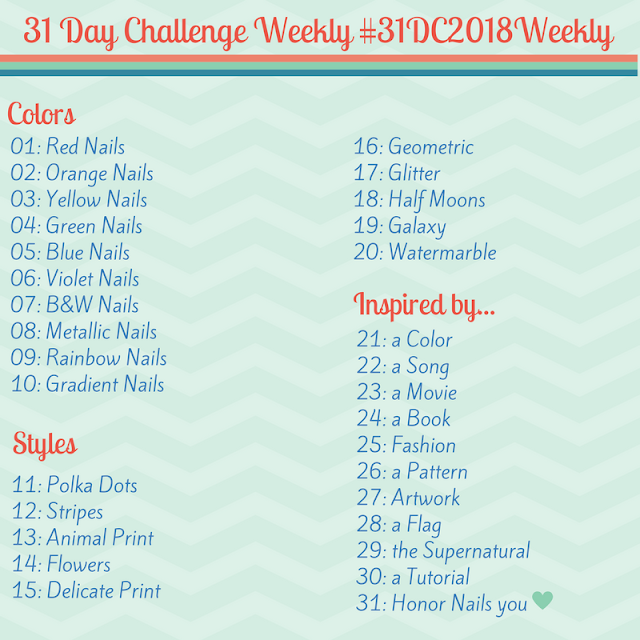 Be sure check out the tag #31DC2016Weekly on Instagram, Twitter and Facebook to see all of the others joining on the challenge. It's never too late for you to join in, too! Just start at Day/Week 1 and then continue down the list. The next prompt is Green Nails which I will have up on Saturday (I promise! ).